Maine lobstermen and retailers say the summer staple is selling in the $6 or $8 per pound range to consumers. That is an average increase of about $1 to $2 from last year. Lobstermen are also getting about a dollar more per pound for lobster at the dock. Prices are high because supply is low. 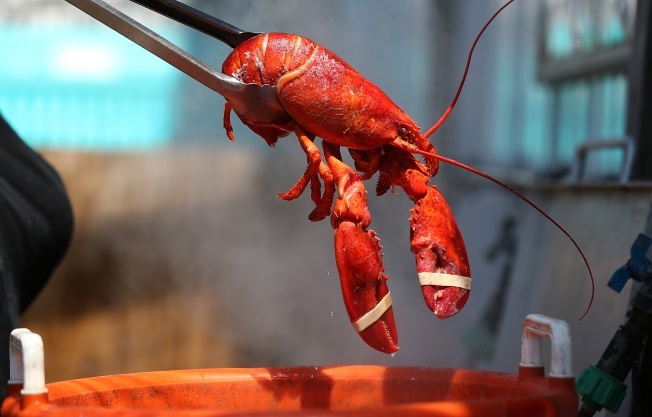 The season picks up after the bulk of lobsters shed shells and reach legal harvesting size. Lobstermen say that hasn't happened yet. Maine is by far the biggest lobster fishing state in the country. Federal data say more than 85 percent of the lobsters landed in American in 2013 were caught in Maine.